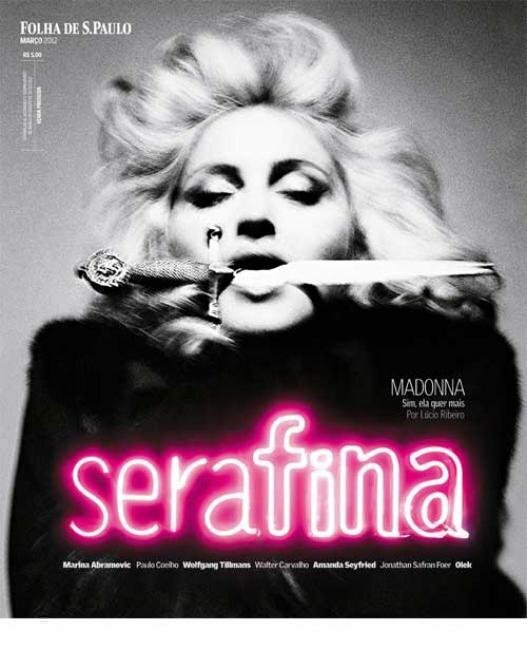 Madonna scores her record-extending 55th Top 10 on “Dance/Club Play Songs”, as “Give Me All Your Luvin'” featuring Nicki Minaj and M.I.A., vaults 24-9. The song is her 26th Top 10 in a row stretching to 1998. Masterpiece a third or forth single? The nandu feather bolero is from the Alexandre Vauthier Winter 2011 Couture Collection. On this piece, the Parisian designer worked together with legendary plumassier Lemarié. 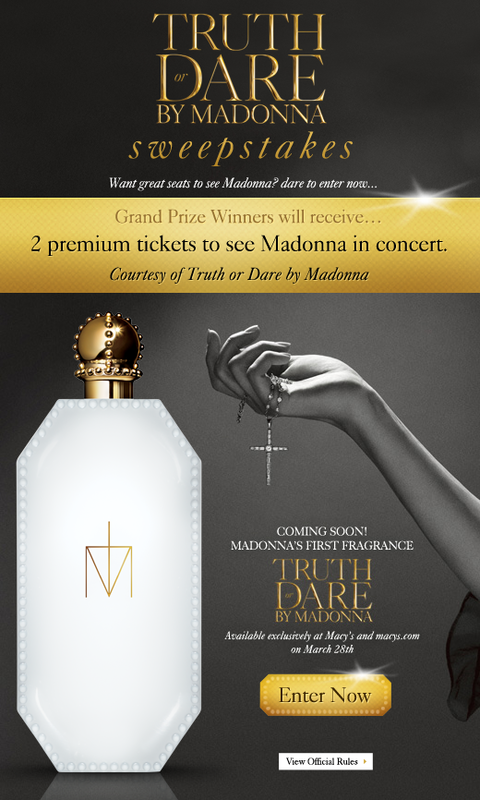 The Madonna World Tour preparations have started! Day#1 of costume tour prep 4 Madonna’s 2012 world tour. Words cannot describe our excitement nor contain our excitement 4 what is in store. The W.E. soundtrack by Abel Korzeniowski is nominated three times at the 2011 Cue Awards for “Best Cue on Soundtrack”, “Best Score on Soundtrack” and “Best Score for Dramatic Film”. Click here and vote, vote vote! Alex Wiesner, Madonna’s collaborator, CEO and founding partner of Energy Fitness, announced to the press that a third Hard Candy Fitness Center will open in Chile in April 2012. Kazaky to be featured in “Girl Gone Wild” video? Today, Facebook has announced that all Pages will be upgraded to the new Timeline layout on March 30th. Madonna’s official page already changed to the Timeline look. The former Spice Girl has met Madonna numerous times and even enjoyed a memorable dinner with her but she admitted to be getting nervous in the Queen of Pop’s company. “I’ve met Madonna a few times. She once called me in my hotel room to invite me to dinner – I was convinced it was one of the girls winding me up. I’m a bit useless in her company being such a fan. 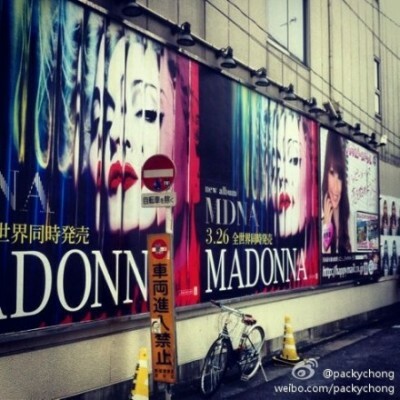 Have a look at the MDNA promo in Japan! Why not just ask Madonna? What is the story for “Material Girl” for Spring/Summer 2012? Lola: “Material Girl” is all about prints for Spring 2012. It’s about self-expression and playing with layering and proportion. For spring, “Material Girl” is all about prints, specifically, Navajo and graphic ethnic prints, as well as tropical fruits and floral prints. Color blocking, crochet details and high-low hemlines are also staples in the collection. Colored shorts and denim paired with loose printed tops is a key look. Where did you get the inspiration for this season from? Lola: I find inspiration everywhere – from watching people on the street, to different countries, music, blogs, etc. What is your reaction when you see girls wearing “Material Girl”? Lola: I like to see how people interpret the clothes and make them their own. It’s cool to see girls wearing “Material Girl” at my school. What is your favourite mandatory style piece from “Material Girl” for Spring/Summer 2012? Lola: A lot of the floral body cons are really cool, the ones with patterns to them. They are really flattering. The colored denim shorts are really cute. What are you calling out as the “in the know” cool things for Spring/ Summer 2012 you cannot get enough of? Lola: For “Material Girl” Spring 2012 there is a lot more color and a lot of Aztec prints. We have a lot of fruit prints, which I think is a cool new addition. 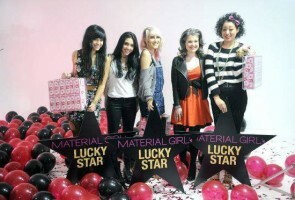 For the spring 2012 “Material Girl” campaign, Lola and Kelly Osbourne took to the road to find the next face of the label. The campaign features the three “Lucky Stars” winners – Samantha Titus, Katrina (Tina) Arandjelovic, and Kimberly Perry. Included in this playlist by various fashion designers was “I Will Follow You” (Listen to this song below!) as well as “Dance For Me Wallis”, both pieces taken from Madonna’s “W.E.” score, written and composed by Abel Korzeniowski.